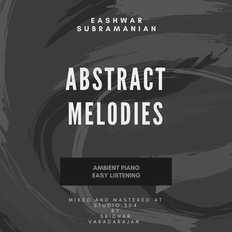 Eashwar Subramanian | OK Listen! Eashwar Subramanian is an amateur musician, who rediscovered his passion for music 23 years after he first began learning carnatic classical music. While he works as a market intelligence professional by day, he moonlights as a composer for short films and plays, while pursuing western classical music as a student. His latest act as a composer, was for the Hindustani play, Dum E Tasleem, adapted from "The Fever Chart" by Naomi Wallace. His single instrumental releases- Going Beyond and Hermit's love and most recently his electronic composition " Electronic Gharana" have earned him the "Featured Artist" spot on Reverbnation, consecutively. He credits his musical influences to legends such as Ludovico Einaudi, Fabrizio Paterlini, Bonobo and Brian Eno. 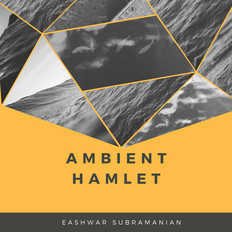 His electronic music piece" Electronic Gharana" has been selected by Manimal Records, for sync and licensing opportunities. He credits his music creations to his gurus-Vivek Santosh and Sanjeev T, for helping him refine his approach to music and introducing him to new sensibilities in music.